Celebrate awards nights with our brightly imprinted 2 1/2" Medallions that are attached to a metal j hook and can be attached to your choice of colored beads. 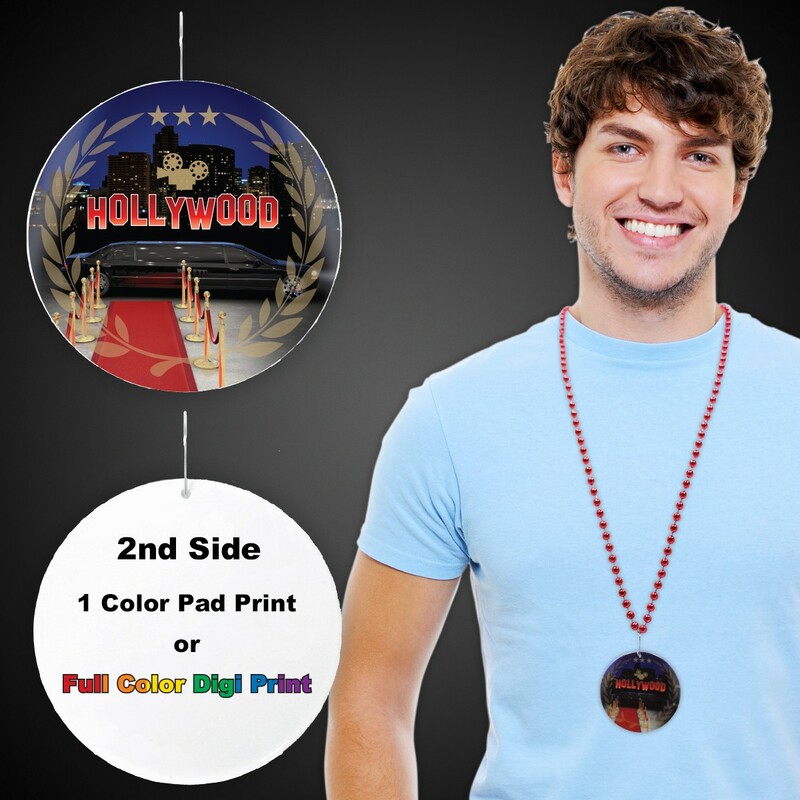 Our Hollywood medallions are priced per medallion and are perfect for handing out at bars and restaurants or at your own awards night party. Beads are sold separately.